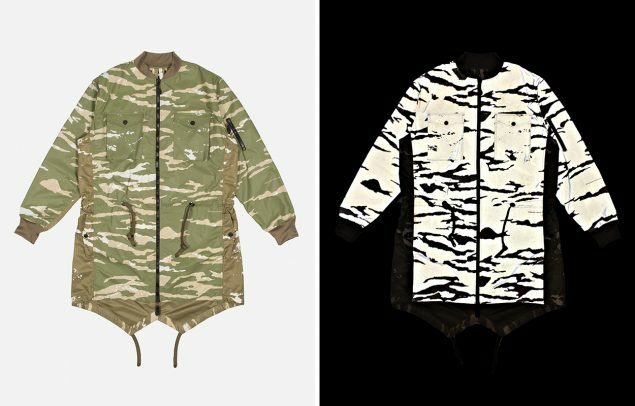 Having utilised reflective 3M technology since 1994, SS17 brings an iteration of DPM: Tigerstripe Murale that features 3M™ Scotchlite™ Reflective Materials. 3M™ Scotchlite™ Reflective Materials use a technology known as retro reflection, which occurs when light rays are returned in the direction from which they came. 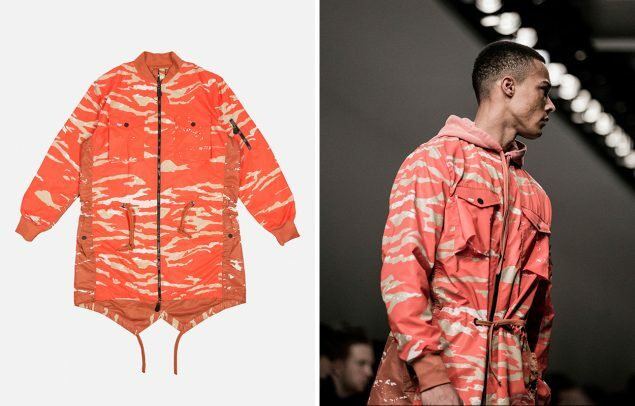 The MA65 Fishtail Parka -a silhouette that merges an elongated MA1 jacket with a fishtail parka – has been updated with white light reactive camouflage. This further reinforces the use of camouflage as a symbol of nature and art, not as a means to kill members of our own species. 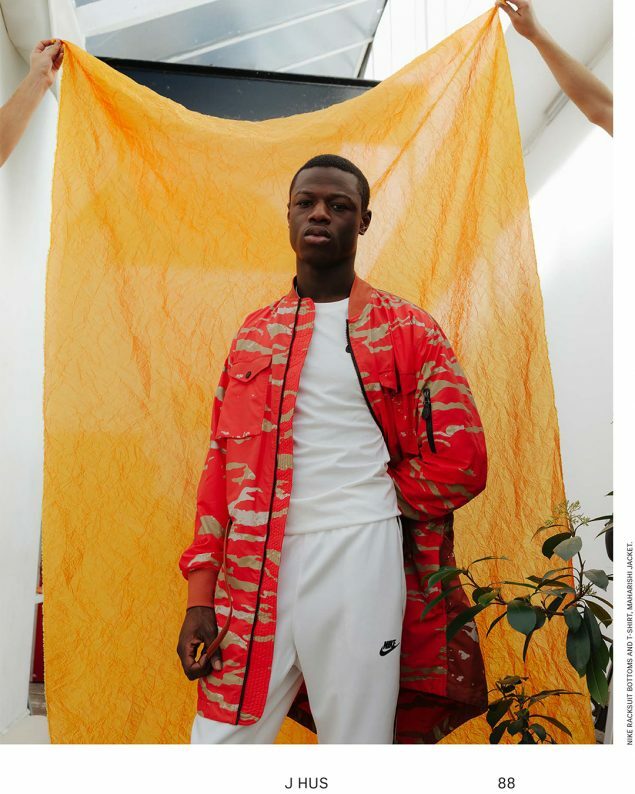 J-Hus wears the 6153 Camo MA65 Fishtail Parka for FADER Magazine. Photo by Dan Wilton.